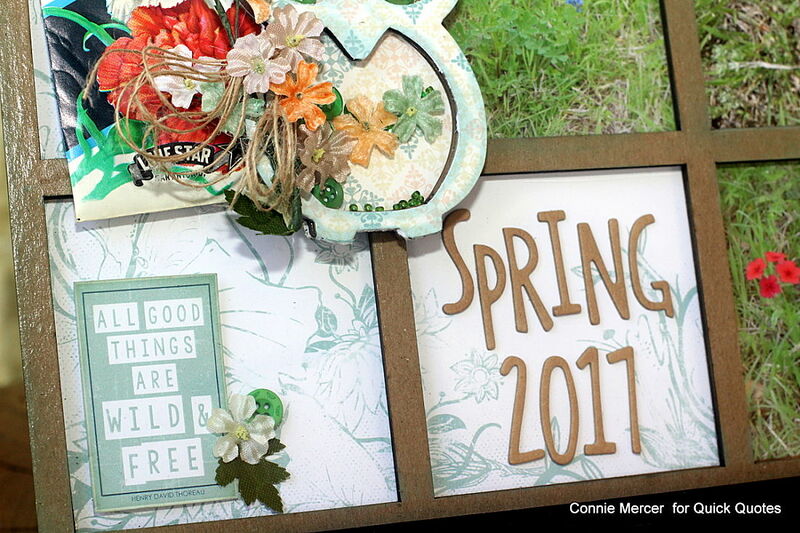 Blog Quick Quotes: Clear Scraps Cross Promo Day 2! Clear Scraps Cross Promo Day 2! Hi, Connie here with some Quick Quotes and Clear Scraps products. We are doing a cross promotion with Clear Scraps all this week. Love both of these companies and their products are beautiful together! 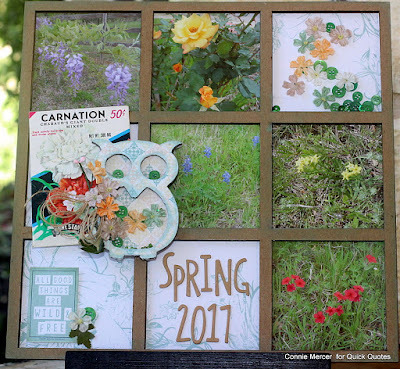 Using the gorgeous Printer's Tray by Clear Scraps along with some gorgeous papers and ink from Quick Quotes, a celebration of Spring has begun. 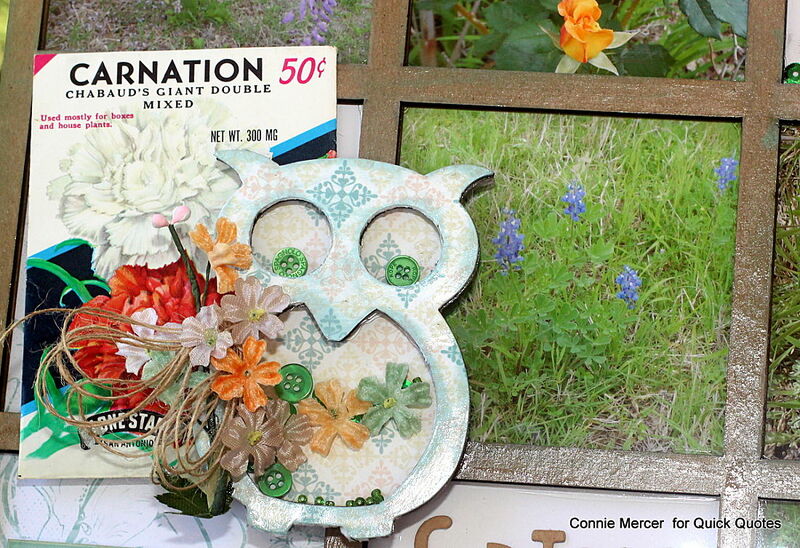 The Owl Shaker by Clear Scraps is watching over our sparse, but beautiful flowers. The Owl Shaker is filled with buttons and silk flowers. The frame of the Owl is covered with paper from the Windsong Collection and shaded with Baby Blue PowderPuff Chalk Ink by Quick Quotes. A vintage seed pack was tucked in behind the Owl. "All good things are wild and free" love the quote. So perfect for this project. Flowers fit in that category for sure. The silk flower petals, buttons and sequins securely tucked away the shake away. Be sure to stop on over to the Clear Scraps Blog to see a fabulous mini album that Jenny designed!!! Stickers, twine, vintage flowers, seed pack, buttons, sequins. Just lovely! Great little shaker box!